The post-filter, considered a polishing agent, removes particulates 60 times smaller than the eye can see, including insoluble minerals and cysts. This cartridge should be replaced every 6-12 months. Whole House Post-filter Cartridge Replacement is rated 4.3 out of 5 by 146. 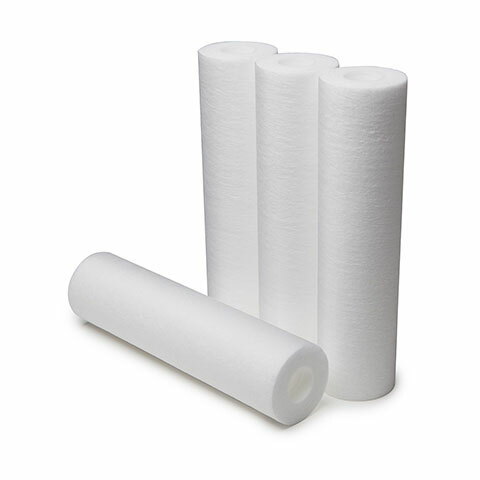 This post-filter replacement cartridge can be used with Rhino Whole House Water Filters that contain a post-filter. The post-filter removes particulates 60 times smaller than the eye can see. This includes insoluble minerals and cysts. The addition of this post-filter is considered a polishing agent and adds a level of protection for your household in the event of an outbreak of cryptosporidium or giardia. This cartridge should be replaced every 6-12 months. Rated 5 out of 5 by Rick M from Product arrived as promised. Easy to install. Filter system including this filter has performed very well. The rust and iron have been removed and the egg like odor of the water is gone as well. Rated 5 out of 5 by Dolly from gets rid of all the bad stuff seems effective for getting impurities and bad taste out of water. Rated 5 out of 5 by mdk93 from Great Results! I purchased and installed the EQ-1000 filter a couple weeks ago and have enjoyed good, clean water ever since! I was able to install it myself, which was fairly time consuming, but not too difficult. After waiting a day or two to let the new water get through our pipes, we compared our new purified water to both our old unfiltered water and store bought water, and WOW what a difference! We could immediately taste the difference between the new and old water, and the new water was indistinguishable from the purified store bought water. We are extremely satisfied with the performance of this unit, and would definitely recommend it, provided the filters hold up as long as they say they should. Rated 5 out of 5 by SueT from Water tastes great! This post filter cartridge unit was for routine replacement. We purchased a whole house unit including the softener over a year ago. Prior to installation, our water had a slight taste and odor similar to algae and white scale built up on fixtures quickly. The units have made a world of difference. The water tastes as good as any bottled water on the market and we no longer have to buy purified water for appliances. We installed a dual system side by side and have no problems with flow rate, even when running the washing machine and showering at the same time. I highly recommend the dual unit if you have reasonably high demand. We temporarily ran with one side turned off and the the difference in water pressure while showering was noticeable - especially if water was being used elsewhere in the house. I also recommend a drip plan underneath to catch water in the event you have a leak at the fitting and during filter maintenance. 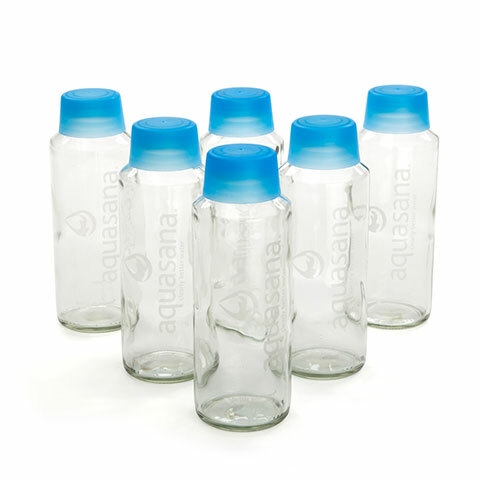 Rated 5 out of 5 by BassLake from Love our Aquasana Whole house Filter We live about 35 miles from town. Our well water comes from the lake we live on but for as long as I can remember my family has never had the water filtered and no one would drink the well water and barely bathed in it. We used Bottled water to drink and the tubs always had hard water stains as well as rust in them. When my wife and I took over the family lake home 4 years ago we bought your Aquasana water system and WOW. The water smelled good clear clean no rust no bad taste you can actually drink it. We love it!!! Rated 5 out of 5 by John H from great system I have used Aquasana products in the past and very happy. Rated 5 out of 5 by Bill17 from Easy purchase The website makes it easy to purchase replacement filters and prices are reasonable. I'd guess it is the carbon from the big filter that is causing it. I've had the system for 9 years now and I love it. Gets all the chlorine out of my city water. What micron is the whole house post filter? The post filter is a 0.5 sub-micron filter. I bought EQ-600-PRO system. Is this the standard 10&quot; post filter replacement cart? &nbsp;Thanks! We just changed our post filter and looked at some of the water from the old filter under a microscope. We could see something tiny moving around, like tiny worms. Any guess what it could be? Does this post filter compatible with the EQ-1000 whole house filter system? 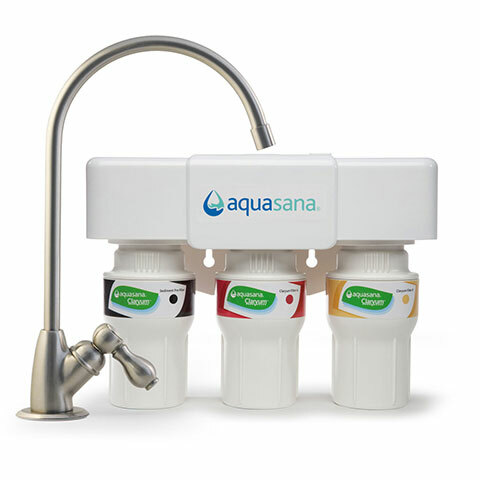 That is an Aquasana Whole House Filter System, so yes, the filter will work, and it is easy to replace. I have that system, also called the Rhino Whole House Water Filter 1,000,000 gallon set. 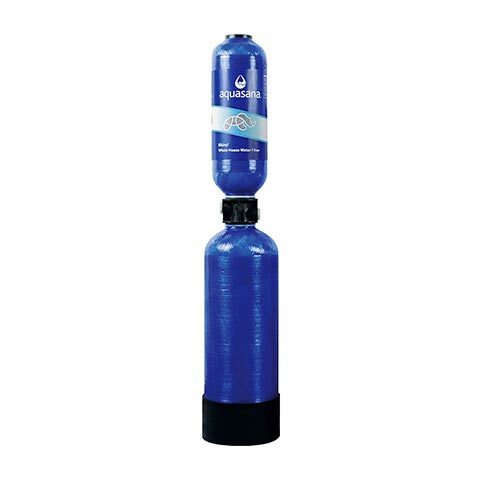 This post-filter replacement cartridge can be used with Rhino Whole House Water Filters that contain a post-filter. The post-filter removes particulates 60 times smaller than the eye can see. This includes insoluble minerals and cysts. The addition of this post-filter is considered a polishing agent and adds a level of protection for your household in the event of an outbreak of cryptosporidium or giardia. This cartridge should be replaced every 6-12 months. 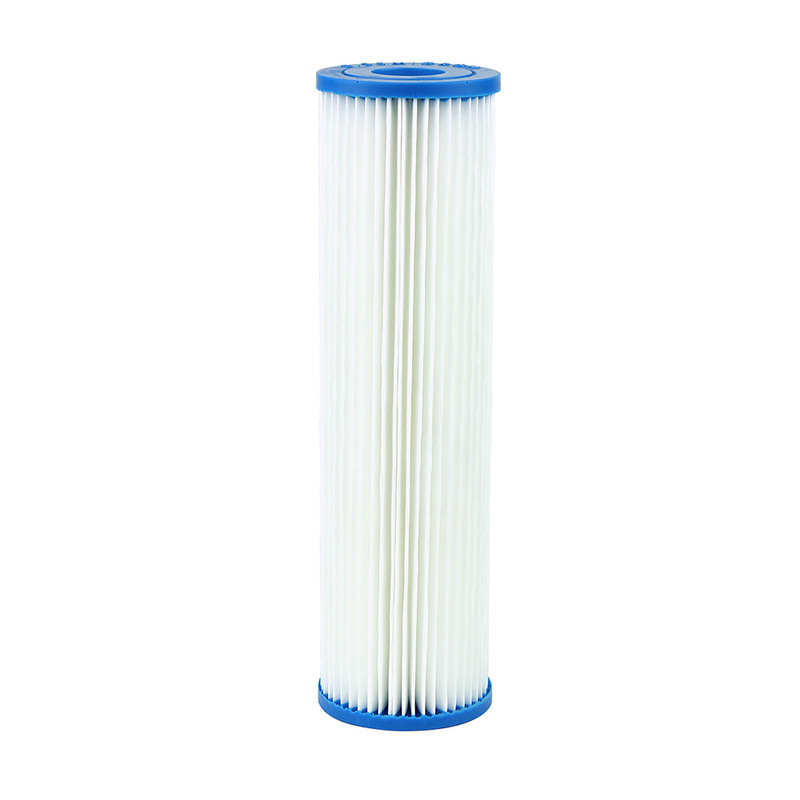 Is this the post filter that is used on the rhino eq 300 whole house filtration system? I am taking a guess based on my brief research that yes it should fit. Eq300 was discontinued and now only 600,000 and 1,000,000 gallons is sold and they both have the same size post filter. Only the pre filter comes in two different sizes. But please call aquasana customer service to confirm. I have a 1,000,000 gallons system. Is this the post filter&nbsp;EQ-PFC.35?